July is almost half over...summer is almost half over. Soon it will start to cool down and before we know it - that white stuff will be back. UGH!!! So since I'm still in Summer mode I wanted to share an early summer card - maybe even late spring but still it's the outdoors and reminds me of those nice lazy vacation days. :) The image is a Penny Black image I believe. This was a card kit I received - I just love card kits!!!! Thanks for stopping by today! God bless you!!!! 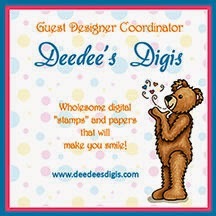 Zella, these hedgies look delightful with the fabulous background papers you have chosen for them. Super cute cards!! Aaaw these are just delightful with such pretty design papers. Thanks for playing in our "Summertime Fun" Challenge #95! What a cute image! Such sweet cards! Thanks for playing with us at YNS! This is so adorable. Love the little diecut butterflies - a perfect touch! Thanks for joining us at Your Next Stamp. Zella, this card so made me smile! Thank you for entering our challenge at YNS! Bloomers hanging in the wind - LOL!! 101 Dalmatians....ok, just 1 Dalmatian!